Sitting still makes us uncomfortable. We love to experiment. We believe that we learn by doing and we get better through repetition. 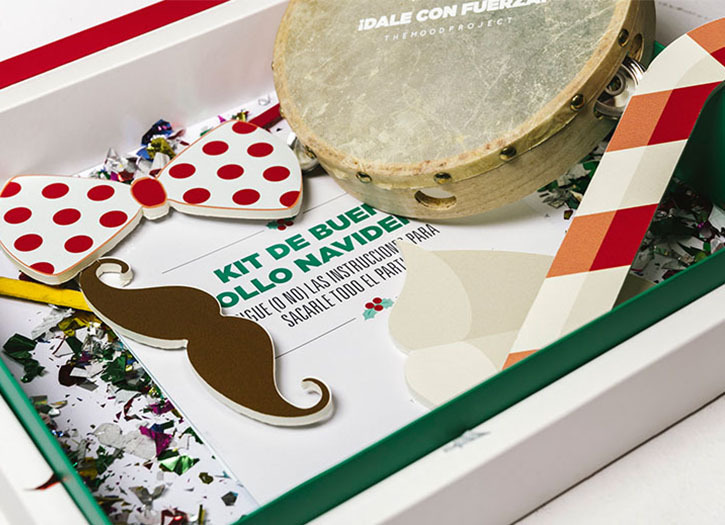 This is a sample of our creative spirit collected in different Christmas campaigns over the last few years. These are our own projects where, to be perfectly frank, we also had a great time! Those who know us know that, as far as we are concerned, summer is an attitude, but you may not know that the Christmas spirit abides with us all year round. At Mood we just can’t help ourselves, so we have gone ahead and created a holiday that takes the best parts of our favourite seasons. We wanted to celebrate the festive season with colleagues and clients with a home-made Christmas box. The whole team chipped in by making different treats for this “handmade” basket, assembled with the same attitude that we bring to each project 365 days a year: with fun and laughter. You can see us trying things out here, experimenting and getting covered in flour! Christmas is the time for sharing. And if there is one thing that we have plenty of in The Mood Project it is the good vibes that we love to share with our colleagues and clients. 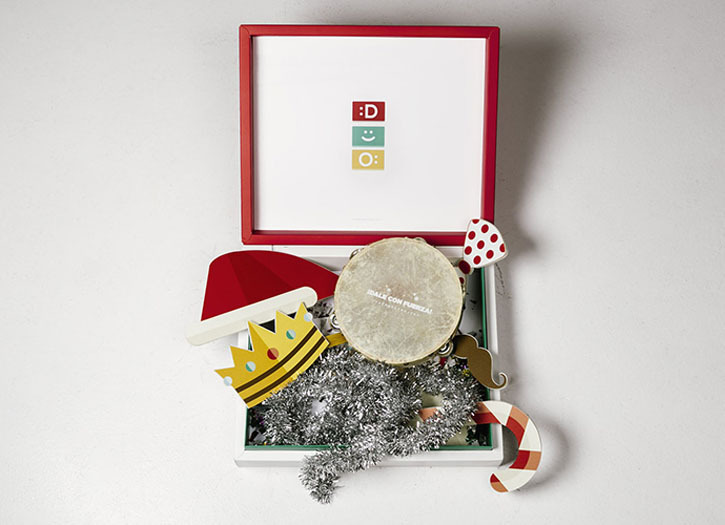 We created a box full of compartments accessories for the festive season: a Santa Claus hat, a garland for the three kings, tinsel and of course, a tambourine. We also updated our Good Mood Button app by adding Christmas sounds and the option to record your own sounds. We developed an app with a clear function: to create a good mood. The Good Mood Button is an application with three buttons, each related with a different mood, to which you can assign a fun sound from a list which contains applause, laughs, yawns, drum rolls and many more effects. Here we show you how you can change the atmosphere at any time! We wanted to celebrate Christmas in 2013 in a truly original form: with a carol… funny and sunny. “Sunny Christmas time” was created by The Mood Project together with LowerSide Studio with a very clear goal: to shout out loud that “summer is an attitude” and that every day, even the coldest, can be enjoyed. We hid it in a QR code that we included everywhere so that all our colleagues, clients and neighbours could sing it with us. Listen to it and relax in the warmest Christmas sounds. One day in December we decided to share one of our most important traditions with our neighbours in Barcelona: having breakfast together. To this end we loaded the truck up with tasty churros and hot chocolate, we named it the Mood Van and we set out to share our good mornings. You can see how much fun we had here!